Men are often invisible in the human services. As clients and as workers, men have largely been ignored in the efforts that have been made to combat sexism in social work and welfare practice. Working with Men in the Human Services argues that addressing gender injustice requires an understanding of men as well as of women. The authors analyse how men's position in society affects their relationships with women, and with each other. They also examine the influence of masculine culture on men's self-perception and behaviour. Key practice issues are highlighted with case studies from a variety of contexts. 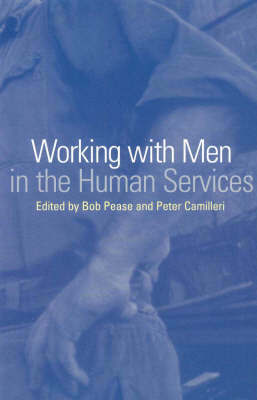 Working with Men in the Human Services marks the beginning of a new agenda for profeminist practice with men, and is essential reading for students and professionals in social work, welfare and counselling. Working with Men in the Human Services challenges all social workers to rethink their assumptions about men, masculinity and men's issues. It does not negate feminist scholarship and practice, but rather broadens and deepens an appreciation of gender issues. It deserves to be widely read, is a must for any social worker's library, and will have a profound influence on social work theory and practice in the coming years. Jim Ife, Professor of Social Work + Social Policy, Curtin University Bob Pease is Senior Lecturer in Social Work at RMIT University, Melbourne, author of Recreating Men, and coeditor of Transforming Social Work Practice. Peter Camilleri is Associate Professor in the School of Social Work and Rector at the Australian Catholic University, Canberra. He is author of (Re)Constructing Social Work.